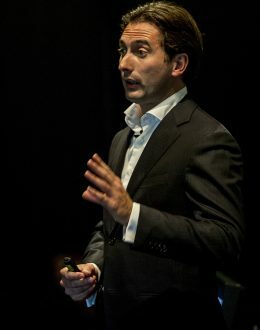 Dr. Mark van Rijmenam is Founder of Datafloq. He is a highly sought-after international public speaker, a Big Data and Blockchain strategist and author of the best-selling book Think Bigger – Developing a Successful Big Data Strategy for Your Business. He is the co-author of the book Blockchain: Transforming Your Business and Our World, which details how blockchain can be used for social good. His third book, The Organisation of Tomorrow, will be published in Q1 2019. He is named a global top 10 Big Data influencer and one of the most influential Blockchain people. He holds a PhD in Management from the University of Technology, Sydney. His research was on how organizations should deal with big data analytics, Blockchain, and AI and he is a faculty member of the Blockchain Research Institute in Canada. He is a strategic advisor to several blockchain startups and publisher of the ‘f(x) = ex‘ newsletter read by thousands of executives.